When I showed up to the Potrero down in Mexico and donned my new harness, I got some strange looks: What the hell was this clown doing with a hybrid big-wall-sport-climbing harness, replete with a massive waist belt and little leg loops? But I didn’t care—it was all part of the experiment of trying out Misty Mountain’s new online Custom Harness Builder. The first step in the online process of customizing your dream harness is the waist belt. On the larger end you can opt for the Titan, with a five-inch-wide waist perfect for big-wall slogs; on the smaller end you can choose the Ground-Up, whose 3.25-inch-wide waist makes it ideal for light and fast alpine excursions. In between are the Wall and Crag style waists. Next you pick the model of your leg loops, and whether they are fixed size or adjustable. The ability to mix-and-match styles and sizes between waist belt and leg loops is the biggest draw. 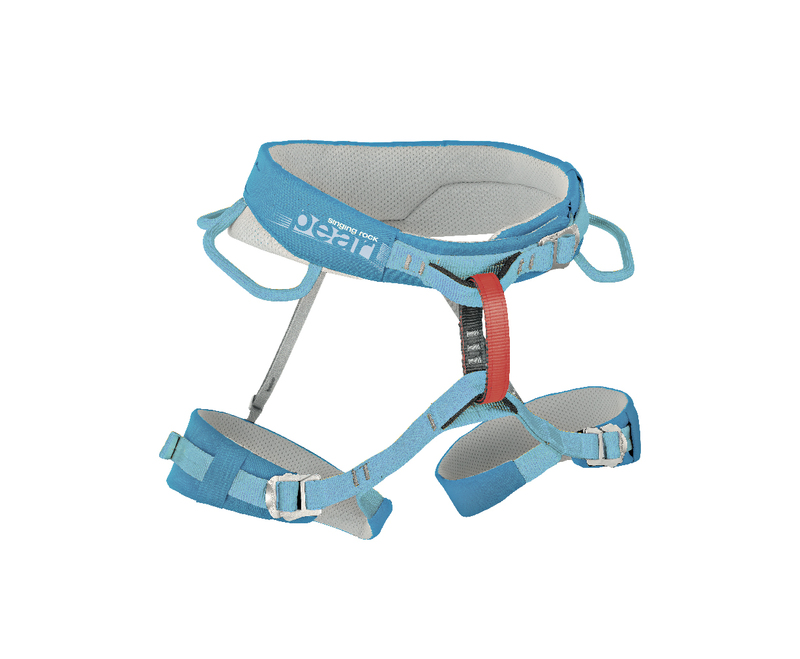 For example, if you want more support for your legs but still want a sportier harness, combining the Crag waist belt with a more robust leg loop might be the ticket. 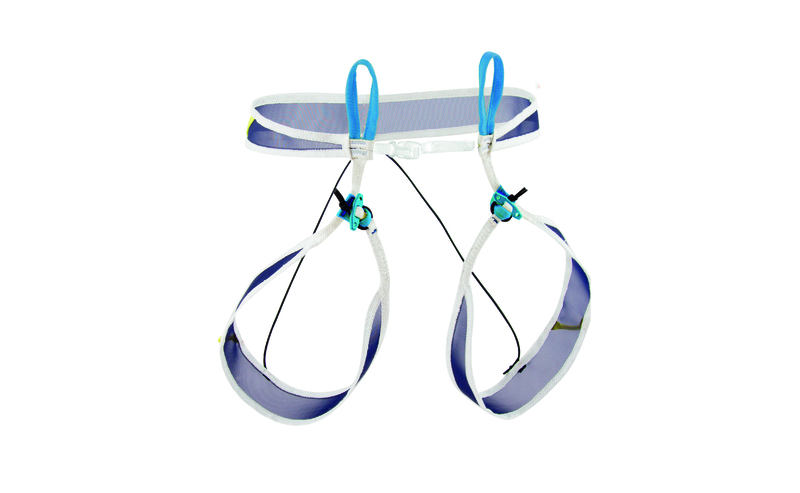 Other functionality-related add-ons include a double belay loop and an extra gear loop. Regarding the ordering process, the online customization process is intuitive. Bushwhacking up some zero-star routes in the Potrero, I remained comfortable in my custom setup even as cactus needles tried to bleed me dry. I appreciated the choice of materials—aluminum buckles and closed-cell foam in the waist meant that my harness weighed in at a reasonably light 15.6 ounces despite its beefy configuration—as well as the rigidity of the reinforced tubular gear loops (all six of them, in my case), which made racking and unracking gear seamless. As I clipped Potrero’s closely spaced bolts, my big comfy Wall waist belt didn’t dig into my sides when I hangdogged up my projects or sweated at the belays, and my slimmer-profile Crag leg loops let me high step through cruxes with ease. Would I get the same configuration again? Debatable. But it’s nice to know that I can. 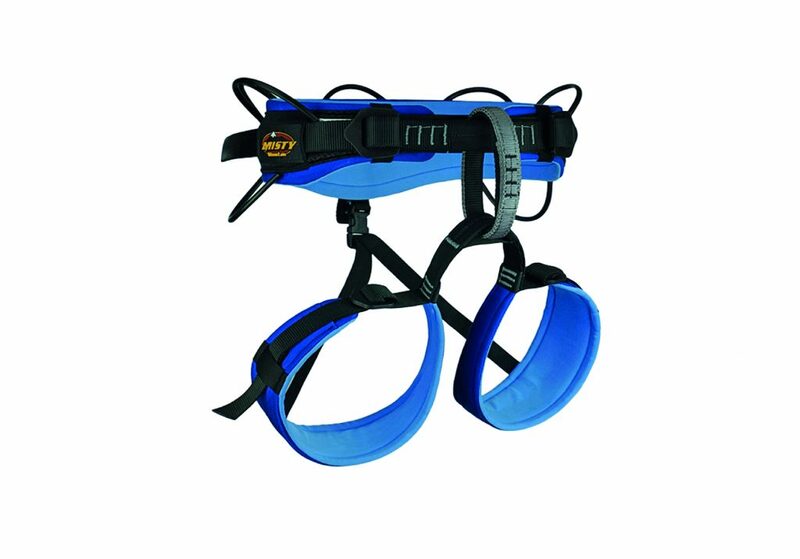 Overall, Misty has come up with a fresh approach to harnesses by putting more power in the hands of climbers to determine what they want and need.